THE WOODLANDS, Texas — (August 8, 2018) Five individuals, one business and one nonprofit organization have been selected as the 2018 Hometown Heroes by Interfaith of The Woodlands, a nonprofit social service agency providing myriad programs and services to meet the needs of The Woodlands and the surrounding area. 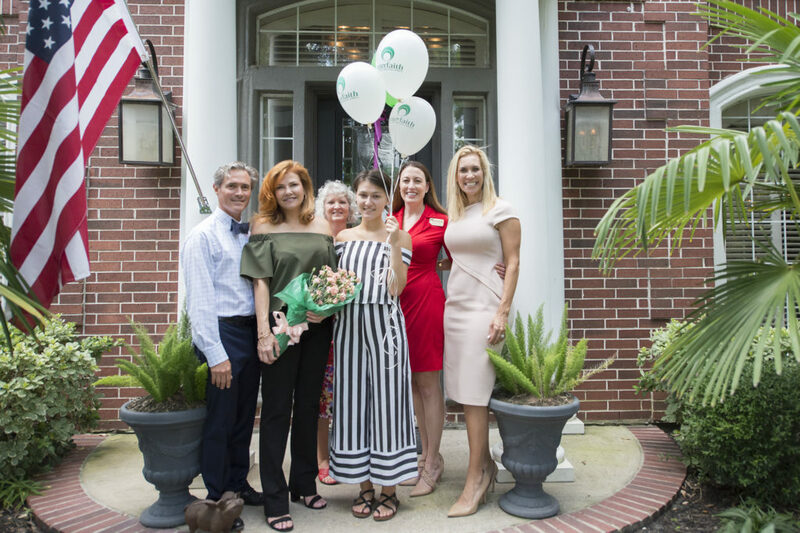 2018’s Hometown Heroes are Robert Heineman, Steve Leakey, Dr. Joel Reed, Patti Rivela, Mrs. Brynn Ballard Huntsman and Mr. Peter Huntsman, Entergy Texas, Inc. and The Junior League of The Woodlands. These honorees will be recognized for their many contributions to the community at The Woodlands Celebration of Excellence Gala, which benefits Interfaith. The theme this year is “45 Years of Caring,” which marks the 45th anniversary of Interfaith of The Woodlands. This special Hometown Heroes gala will be held at 6 p.m. on Saturday, October 6, 2018 at The Woodlands Waterway Marriott Hotel and Convention Center. In celebration of serving in The Woodlands community for 45 years, Interfaith selected Dr. Ann Snyder and Mr. Jerry Snyder as Honorary Chairs for the 2018 event. The gala will be co-chaired by Shirelle Chimenti and Elvira Graham, and in addition to honoring the Hometown Heroes, it will include dinner, live and silent auctions items and a one-of-a-kind, Moroccan-themed after-party. All proceeds benefit Interfaith of The Woodlands. 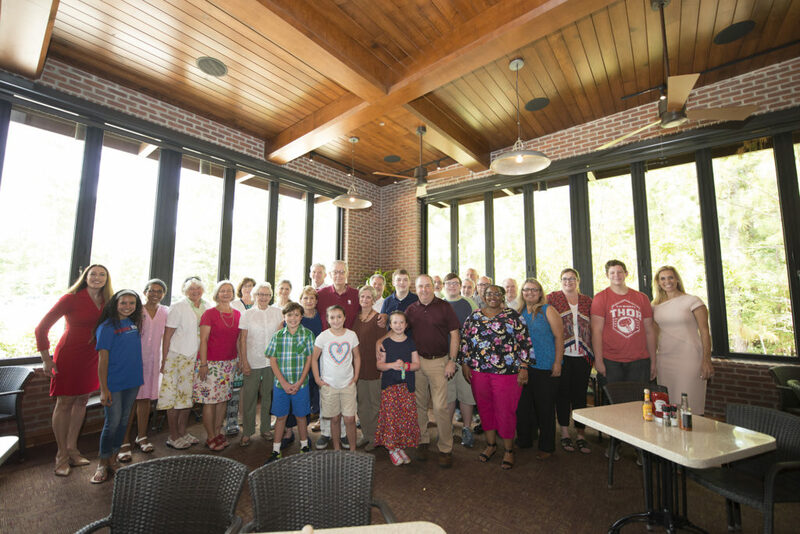 The 2018 Hometown Heroes were chosen by a selection committee composed of Hometown Heroes alumni, which includes over 100 local residents and 14 area businesses that have contributed to the educational, civic, cultural and spiritual fabric of the community. This annual tradition of honoring Hometown Heroes began in 1999 as part of The Woodlands 25th Anniversary Celebration and has continued ever since. In response to the overwhelming number of nonprofit organizations nominated in 2017, the selection committee decided to create a new nonprofit category highlighting philanthropic efforts in the community. “Honoring Hometown Heroes is a treasured tradition that celebrates the amazing individuals, businesses and organizations that continue to enrich our community with numerous contributions. Each honoree’s incredible generosity and dedication have made a lasting impact that will inspire generations to come,” shared Missy Herndon, President & CEO of Interfaith of The Woodlands. Criteria for the selection of the Hometown Heroes includes but is not limited to the following: serving as a positive role model, having a history of volunteerism, sacrificing personal gain to achieve noble goals, exhibiting leadership and courage and embodying the values of The Woodlands community. The Woodlands prides itself on having a dedication to public service and recognizing the importance of family, education, arts, culture and environmental consciousness. The Woodlands Celebration of Excellence, honoring Hometown Heroes, is the largest annual fundraiser for Interfaith of The Woodlands. The event is sponsored by local businesses and organizations. For sponsorship or underwriting opportunities, contact Carolyn Donovan, Interfaith’s Director of Development, at cdonovan@woodlandsinterfaith.org or call 832-615-8225. Individual tickets will go on sale Wednesday, August 1, 2018. In 2017, The Woodlands Celebration of Excellence Gala Committee debuted its Hometown Heroes Giving Circle, which allows individuals and businesses to make donations in honor of specific Hometown Heroes, as a way to pay tribute to their incredible commitments to serving the community. Donations to the Hometown Heroes Giving Circle will be directed to Interfaith of The Woodlands to help individuals and families in crisis through financial assistance for rent, mortgage, utilities, gasoline, prescription drug assistance, emergency shelter, food, clothing, senior programs, counseling, job training and child care. Interfaith of The Woodlands exists to build a more loving and caring community through service. To honor a hero, go to hometownheroesgala.org or call 832-615-8225. With a degree in architecture from Rice University, Robert Heineman began on The Woodlands’ project as an intern for The Mitchell Energy and Development Company. Building a community from scratch is no small feat. The early years were fraught with uncertainty and fiscal challenges, but Robert was steadfast in his commitment to Mitchell’s dream, and within ten years he had assumed the position of Vice President of Planning and Design, a position he holds to this day, 45 years later. Along the way, Heineman earned a master’s degree in urban planning from Harvard University. His infamous notecard sketch of our now vibrant Woodlands Waterway, and his forethought and attention to detail, has made The Woodlands the community it is today. In 2009, Heineman was granted fellowship by the American Institute of Architects. In 2010, Heineman received the prestigious George Mitchell Award for “helping guide the vision for The Woodlands and lay[ing] the groundwork for the Town Center and development of The Woodlands Waterways.” The Woodlands Area Chamber of Commerce recognized Heineman as Volunteer of the Year in 1993 and Citizen of the Year in 2014. In addition to his day job, Robert freely gives of his time through the mobility committee of The Woodlands Area Chamber of Commerce, the bench committee of The Woodlands Art Council and several owners’ association boards. After returning from serving as a physician in the Korean War, Dr. Joel Reed and his wife, Jeanne, settled in Houston, where he established a private medical practice in the Texas Medical Center, focusing on internal medicine and pulmonary disease. During this time, Dr. Reed served as president of the Harris County Medical Society, where he worked to create a plan that brought health care to patients who could not otherwise afford it. He rallied 100 physicians, 300 pharmacies and three area hospitals to join a coalition to help those in need of care. The effort received national attention, culminating in an invitation from then President Ronald Regan, where Dr. Reed was honored at a White House reception. 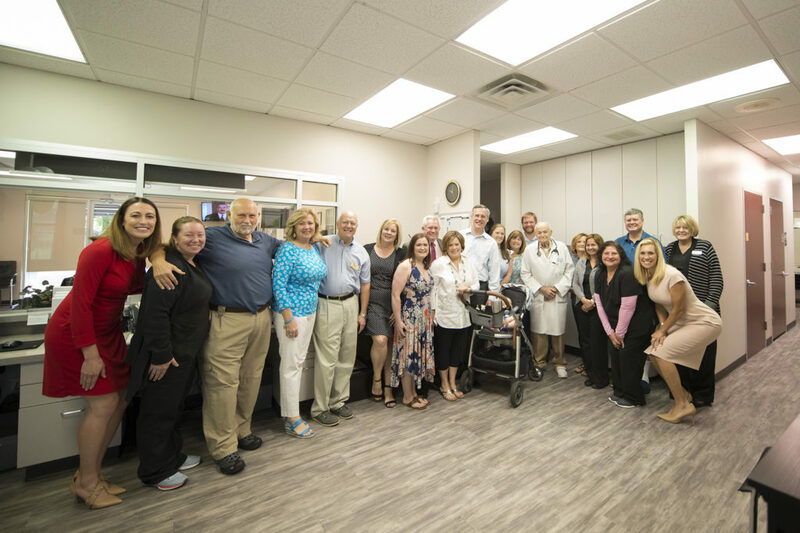 Dr. Reed moved to The Woodlands upon retirement at the age of 70, where he quickly assumed a central role with the Interfaith Community Clinic. From assisting with the first fundraising efforts to acquire a building, to seeing patients on a regular basis, Dr. Reed is the lifeblood of the Clinic. Just a few years ago, on his 90th birthday, United States Congressman Kevin Brady awarded Dr. Reed a commendation for his life’s work. When his wife, Jeanne, passed in 2008, Dr. Reed established a foundation in her name that regularly awards grants to local, deserving charities. A resident of The Woodlands for 20 years, Patti Rivela is very active in Montgomery County Youth Services’ Yes to Youth program, having served on its board for six years, and as chairs of their gala and several Ladies Night Out events. As a frequent volunteer for their preteen and teen emergency shelter, Patti helps to normalize the lives of young people by creating a welcoming and loving environment—decorating their rooms, making dinners, providing art lessons—but more importantly she gives of her time, listening and talking with the shelter children with an open heart. In addition to Yes to Youth, Patti has been a 12-year volunteer with the Montgomery County Women’s Center as an artist, creating framed portraits of shelter residents and their children. Additionally, she has served as the event chair for Panther Creek Inspiration Ranch’s Denim and Diamonds gala, Memorial Hermann’s In the Pink luncheon and New Danville’s Tea on the Lawn. Before moving to The Woodlands, Patti taught art classes to inner-city youth in Houston, where she was named the 1997 Outstanding Young Educator. Brynn and Peter Huntsman came to The Woodlands nearly 20 years ago, carrying with them a family legacy of service first. 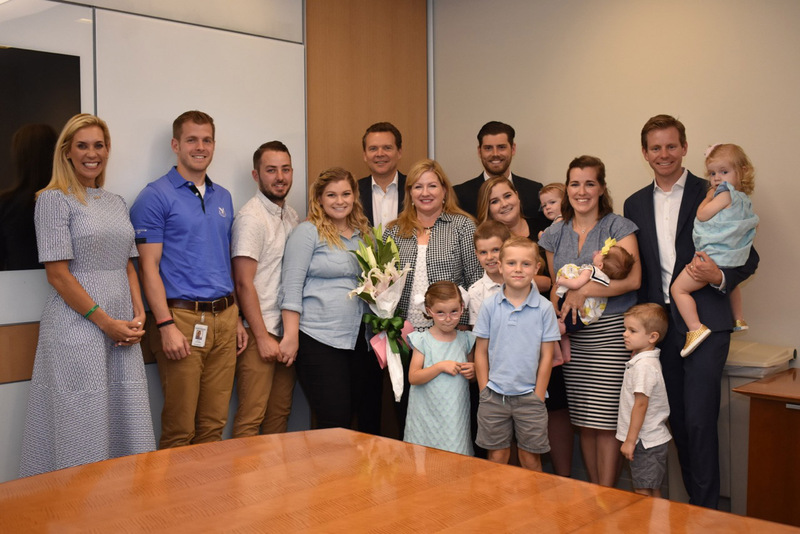 Not only did they choose to raise their eight children here, but they chose to make The Woodlands home to their Huntsman Corporate Headquarters. 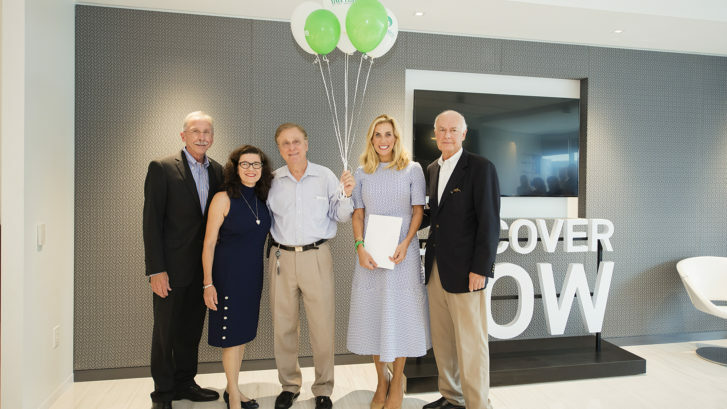 Since joining our community, both their family and their corporate entity have spurred on momentous community activity through their generous contributions of time and financial resources. 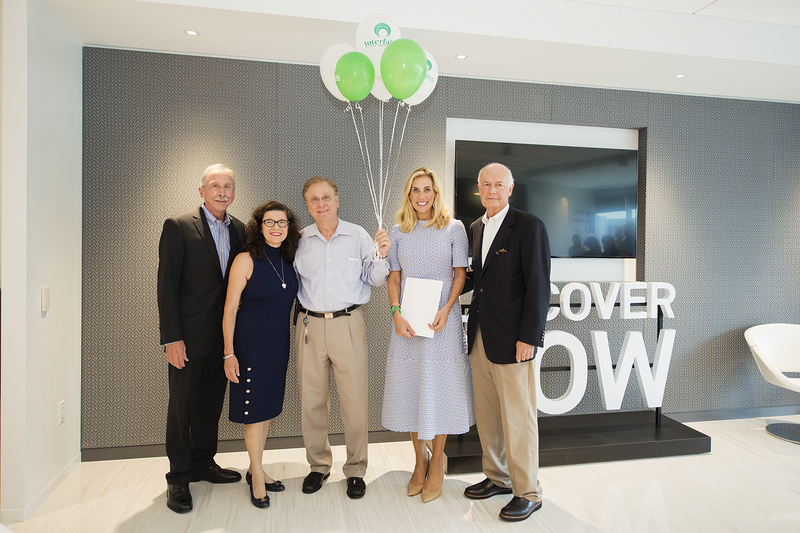 Peter and Brynn are involved in a number of US and international based humanitarian projects through Huntsman Corporation, the Huntsman Cancer Foundation as well as the Huntsman Family Foundation, established by Peter’s parents, Jon and Karen Huntsman. 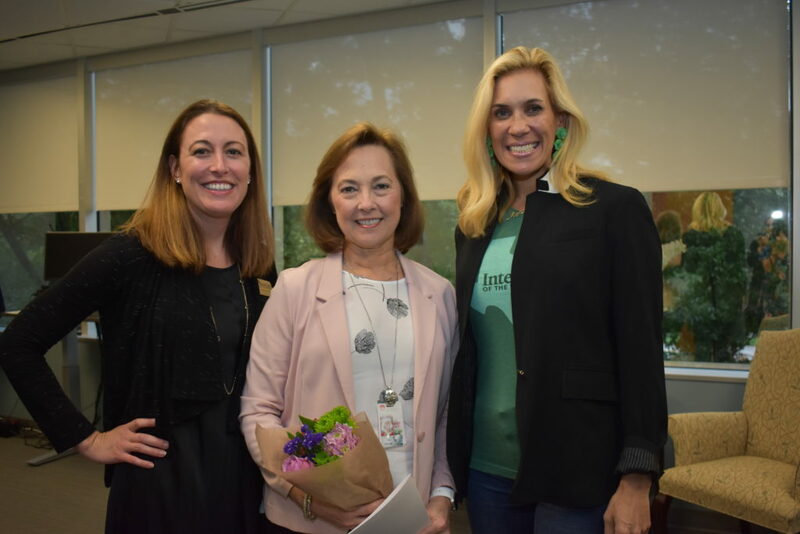 Locally, Peer and Brynn dedicate time for work on non-profit organizational Boards including Interfaith of The Woodlands, Interfaith Child Development Center and The Montgomery County Women’s Center; chairing numerous events and fundraising endeavors in addition to supporting organizations globally. Additionally, they recently completed a three-year term as Ward Bishop for Young Adults through the Church of Jesus Christ of Latter Day Saints and were driving forces of encouraging their young adults to serve their community. During Hurricane Harvey, The Huntsmans created a record breaking matching-fund campaign to assist our affected neighbors in need. Most recently, they have expanded their support to helping the community development and revitalization of the historical cemetery in the Tamina Community. 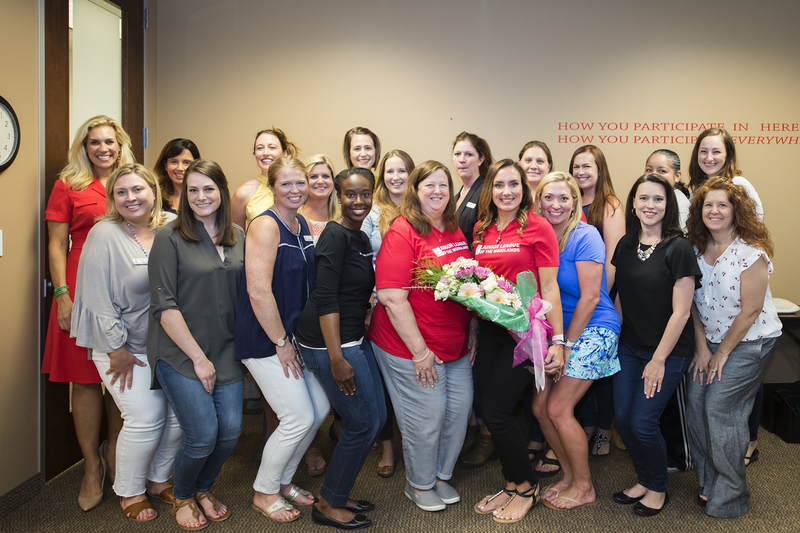 Junior League of The Woodlands, Inc. is an organization of women who are committed to promoting voluntarism, developing the potential of women and improving communities through the effective action and leadership of trained volunteers. The organization’s purpose is exclusively educational and charitable. Originally founded on April 14, 1983 as Junior Service League of North Houston, Junior League of North Harris and South Montgomery Counties, Inc. was admitted to the Association of Junior Leagues International on February 25, 1990. The league’s members have accrued more than 31,000 volunteer hours per year. According to the Bureau of Labor Statistics, these volunteer hours have an annual value to the community of more than $500,000. Over more than 25 years, Junior League of The Woodlands has contributed over six million dollars in direct financial support and volunteer time to various nonprofit and community organizations within The Woodlands. The league currently has eight community programs and two fundraisers.